A Stygian sorceror who reigned in Kuthchemes three thousand years earlier, but the city was sacked by “gray-eyed, tawny-haired barbarians in wolfskins and scale-mail”, who would eventually found the kingdom of Koth further north. However, Khotan swallowed “a strange terrible poison”, after which he was locked into a tomb by his masked priests, who died in its defence. The barbarians could not break in, so they destroyed the rest of the city and rode off. He was still worshipped as a god, by a “mongrel degraded cult”, who stamped coins with his likeness in order to put under corpses’ tongues to pay their way in the land of the dead. Shevatas the Thief awakens him from his long sleep and is slain as a reward. The newly risen sorceror renames himself Natohk the Veiled One (‘Natohk’ is simply ‘Khotan’ backwards), then gathers together an army (thirty nomadic tribes, fifteen cities and the support of a rebel Stygian prince). Conan defeats his forces at the Pass of Shamla, but Natohk manages to kidnap Princess Yasmela and take her to some nearby ruins, with Conan in pursuit. There, Natohk reveals he is Thugra Khotan, and attempts to throw first a snake then a scorpion at Conan, who impales him with a sword. As Natohk the Veiled One, he is described as “inhumanly tall and lean, clad in shimmering green silk”, with a voice like “the hiss of a giant serpent” and a “skull-like countenance”. Natohk is a powerful sorceror. He is capable of offensive spells, such as the incendiary blast he used at the Pass of Shamla, as well as summoning demons, such as the camel-like creature who pulled his chariot and the ape-like being who drove it. This installment of my Conan’s Wizards series focuses on Thugra Khotan or Natohk, the main antagonist from the story “Black Colossus.” To give a brief summary, Khotan is a sorcerer from Stygia’s more prosperous past. To avoid being killed by invaders, he takes a magical poison to place himself in a death like sleep, and he is awakened thousands of years later by a hapless (though famous) thief. He promptly wants to take over the world, but gets side tracked by a beautiful Khorajan princess. I’ve read this story a few times and its not one of my favorites. Its okay, just not one of my favorites. Part of my problem with this story is Thugra Khotan himself. In the past two installments, we encounter two possible career options for sorcerers: vizier or court mage and priest. Now, we meet a third, a king in one’s own right. He was, before his death, the king of the city of Kuthchemes, a Stygian tributary most likely. And after his resurrection, he gets back into the conquest business by assuming the guise of Natohk, the Veiled One. As Natohk, he acts as a religious leader/ prophet who unites the tribes, cities, a rebel Stygian prince, and sundry others under his banner. In his second incarnation, there is ambiguity as to whether he is going to be king or the sorcerer behind the throne, at least in the short term. In the long term, he clearly plans to be the sorcerer king of the world with Yasmela as his bride. We do not know much of his background, save that he managed to cheat death for three thousand years before being impaled on Conan’s sword. 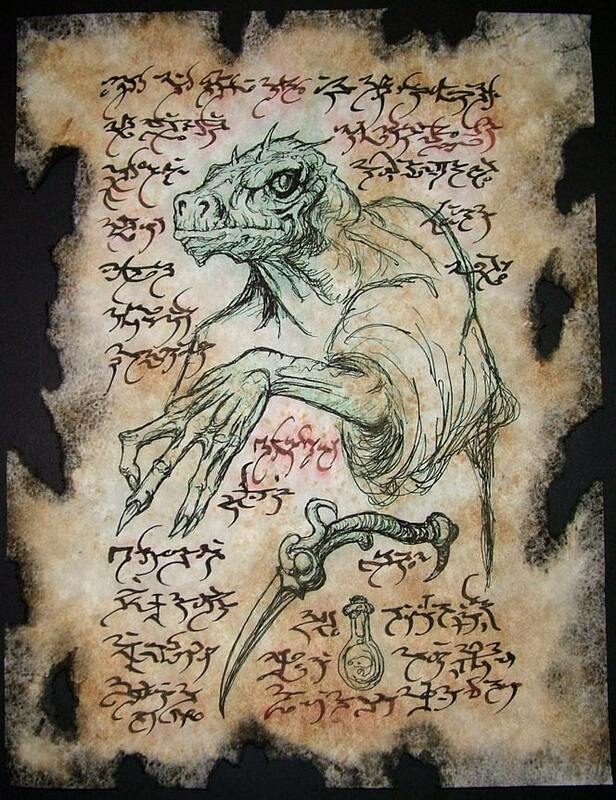 It would be safe to assume that, as a Stygian, Khotan was a priest of Set (whose priests all seem to be sorcerers). That would be the most likely scenario for his education and that he acted as a sort of priest/ sorcerer king in Kuthchemes. He is also one of the most powerful sorcerers seen to date . He endures in a sleep for three thousand years with his tomb remaining perfectly preserved. He hides his army from view in a mist. He creates an early form of land mine. He turns a staff into a snake. 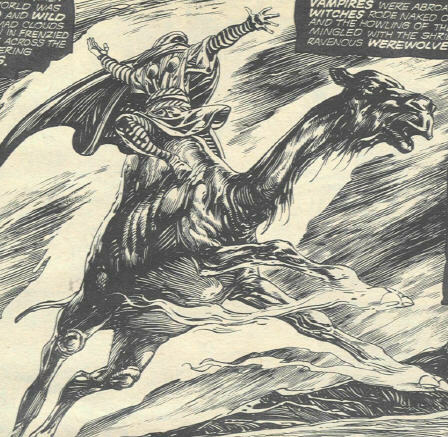 He commands a winged camel and an enslaved demon. And he leaves his body to sexually harass Princess Yasmela in astral form. For one thing, he does not make the greatest of military geniuses. Conan is a very competent military commander and he held the high ground. Also, Natohk’s army was not unified, but a rag-tag collection of nationalities formed together under a central dominating figure. And without him, they melted away in confusion. Despite Howard’s fondness for barbarian triumphalism, professional soldiers are more likely to win out over poorly trained hordes. So that explains the military aspect of Khotan’s defeat. Although you can make the argument that Mitra played a hand in it, he just selected Conan. And Conan did the rest. But what really defeated Khotan was his harassment of Yasmela. As I said in my Yara post, don’t do drugs!. Here it would be: don’t let your lust consume your better judgment (this is also true of my Khemsa and the Black Circle post). Khotan allowed the situation to get out of hand because he was more focused on getting Yasmela rather than on actually winning the damn battle. Had Khotan been at the front, or even lobbing sorcerous attacks from the rear, I doubt that Conan could have won the day as handily as he did. But Khotan’s passion and sorcery are inexplicably targeted at Yasmela. Anyway, getting back on topic, Khotan’s own demon slave abandons him because of his stupidity. Hell, I would too. But Khotan just seems too stupid (or maybe being “dead” for three thousand years creates a form of dementia) at the end. Once he has Yasmela, he plans to sacrifice her so that he could regain his focus and some of his power. But in the end, his death is rather pathetic. And I think that has a bit of a point to it. Thugra Khotan is not what he once was. As Natohk, he is a pale shadow of his former glory. And his lust and thirst for power precipitously spells his doom.